Our Sugarbliss signature 7 tier cascading wedding cake, has always been a popular design and a real eye catcher, so designing a new wedding cake for our simple wedding cake collection was fairly easy. Our new rose swirl, piped royal iced, 3 tiered wedding cake for our simple wedding cake collection looks absolutely stunning as the centre piece at any wedding reception. You can choose different flavour tiers from our large list of ever increasing cake recipes and can also choose the colour of your wedding cake from white or ivory, to perhaps a beautiful vintage pastel colour. Our Sugarbliss simple wedding cakes start from £250 and we are sure this new addition is going to be extremely popular with our future brides and grooms. While being very busy creating and designing our wedding and celebration cakes, it is always fun when new products arrive at our Sugarbliss Cake Decorating Shop, Knowle, Solihull, and even more fun when we get the chance to try and test them out! The new range of cake decorating and bakeware from kitchen craft is excellent and one of their latest items is the dual icing bottle. An ingenious idea to mix icing and buttercream colours in the one decoration. Twin icing bottles supply one star shaped icing nozzle, so you can have any colour combination to pipe and decorate away! The results give a whole new look to swirled icing. The bottle comes complete with a star shaped stainless steel nozzle and a cover for icing storage. It is always exciting to complete a beautiful wedding cake design and even more exhilarating when the wedding cake is set up at the chosen venue. 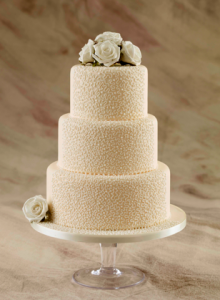 It is so important for a wedding cake designer to consider the venue when designing a cake in order to ensure the wedding cake is the centre piece of the reception. Every now and then, the venue is just so wonderfully it makes designing the cake absolute bliss! One such wedding venue is the incredible stunning Castle Bromwich Hall Hotel. The 16th century hall has been recently restored and developed into an absolutely splendid hotel. The hotel invites you to indulge in its fabulous surrounding and is set within 10 acres of glorious walled gardens. Only just open as a wedding venue we are sure we will be regularly visiting this fine wedding and hotel venue. Loving Everything To Do With Wedding Cakes! Last weekend we attended the fabulous Premier Bridal Show 2013 at the fantastic Midland Hotel. The Show was a huge success with over 200 brides & grooms to be in attendance. The two more additions to our ever popular Simple Wedding Cake, brought much attention to this affordable wedding cake collection. We also took the opportunity to launch our new Eggless Chocolate Cake which proved to be a great success, and as you can imagine, the cake samples soon disappeared! Back at our popular cake decorating and sugarcraft shop Knowle, Solihull, we have recently added some wonderful icing gift sets and new number and alphabet moulds, which are ideal for chocolate making as well as adding a finishing touch to a birthday or christening cake. The new and superb Sugarflair range of concentrated pastel colour pastes are now also available in our shop. The additional colours of Baby Pink, Peppermint, Sky Blue, Lavender, Shadow Grey, Daffodil and Scarlet really complete this already great range of cake decorating food colours and will also be available to purchase shortly, on our new Sugarbliss Cake Decorating on-line cake decorating shop. 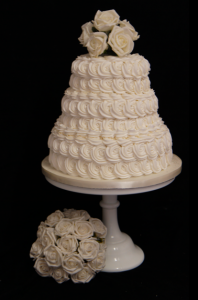 New for 2011/2012, saw us launch our simple Blissful Couture Wedding Cake Collection for the bride and groom who have a smaller budget to work with, but still want their wedding cake to look and taste spectacular, as well as being an unforgettable centre piece at their wedding reception. We will soon be adding for 2012 four new chocolate wedding cake designs to our affordable Simple Wedding Cake Collection. Nyree has had great fun designing and creating the new wedding cakes which will see our popular wedding cake collection increase to sixteen, for brides and grooms to simply choose from and to decorate the way they want. They can just simply add a crystal topper and it’s celebration elegance at it’s best. 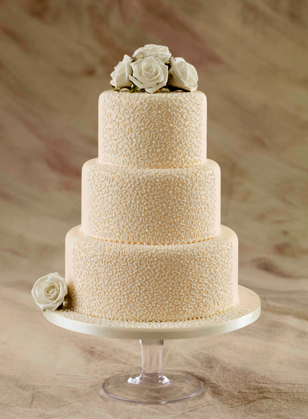 Our first new design is called Ruffled and is decorated with rows and rows of delicate romantic ruffling around each tier. The cake will be available in white, milk or dark chocolate. The second cake is called Rose & Pearl Chocolate and is a smooth chocolate studded with lustrous pearls and finished with a beautiful cascade of chocolate roses. Available in white, milk or dark chocolate. Chocolate Architecture is our third design. The clean sharp lines are created with rich elegant chocolate plaques with beautiful flowers layered in between to further enhance this stunning cake. Available in white, milk or dark chocolate. The fourth design Chocolate Curl has in its beautiful design, delicate chocolate pencils enveloping each tier creating a striking centre piece. Available in white, milk or dark chocolate. Our SugarBliss Couture Cake Collection is available for collection from our base in Solihull, West Midlands or we our also able to delivery and set up.